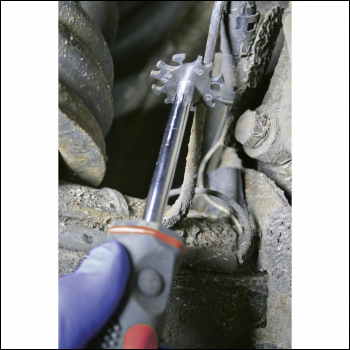 Specially designed for the removal of corrosion from brake and fuel pipes for fast and thorough inspection. 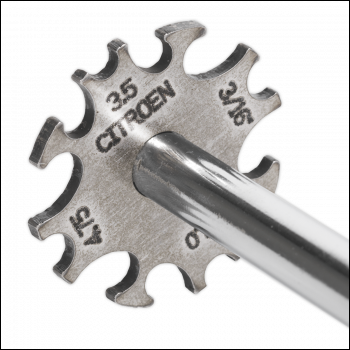 Features 12 cleaning edges for different sizes and types of pipes. Includes curved cleaning edges for hard-to-reach areas. MOT Compliant tool. 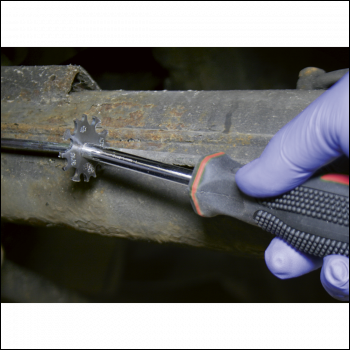 Specially designed for the removal of corrosion from brake and fuel pipes for fast and thorough inspection. 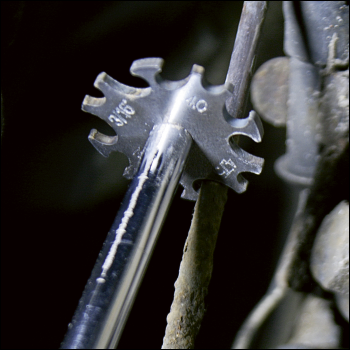 Features 12 cleaning edges for different sizes and types of pipes. 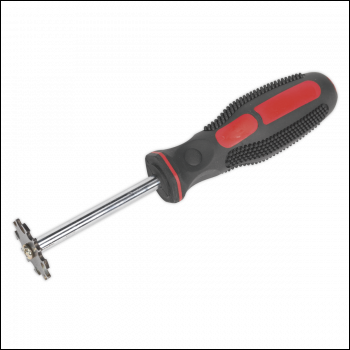 Includes curved cleaning edges for hard-to-reach areas. Applications: 3.5mm (Citroen), 4, 4.75mm; 3/16" Pipes.